why do we have to meet, whereas you began to leave me. without a word and without any notes. why are you trying to build a wall of trust at first, powerful and invincible, after all this time I stayed and began to trust. but at the end you pulled down. destroyed and shattered. 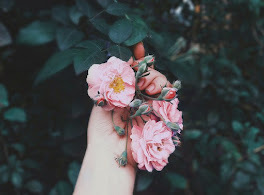 why did you start to give me happiness, that it was only a moment for me to taste the sweetness, but at the end you also gave me the bitterness of suffering, which leaves the this scars forever. Hey guys , so only a few days left for me start semester iv yeah super senior okay * rise my left eyebrow ( 3 times) . *Inhale exhale how do I gonna start yeah ermm to be honest deep down bottom in my heart I am so not ready for this semester to begin , I felt like I just don't want to go . I feels like this sem it could be worst I just don't know why . I love study but I feel like I just want to start my new semester by go to another University just have a new environment.